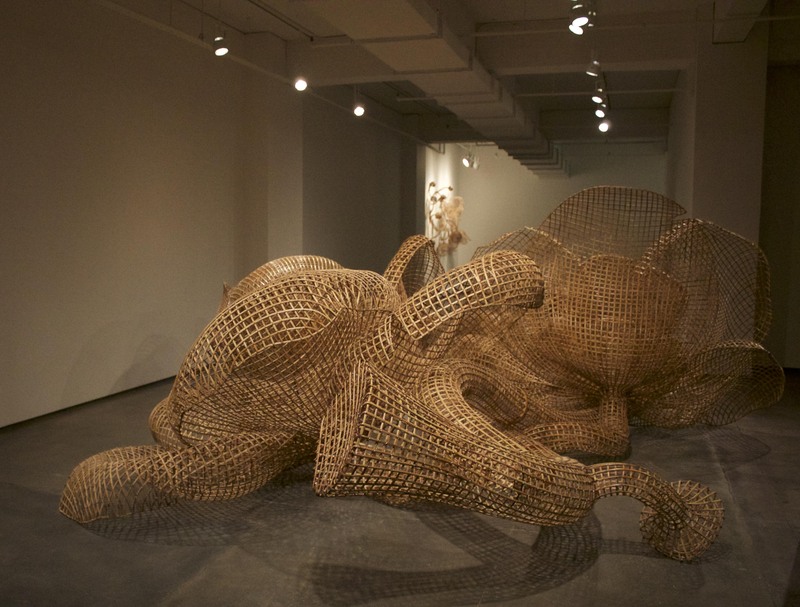 Sopheap Pich: Rang Phnom Flower, taking place from December 8, 2016, through February 4, 2017, marks the debut of Tyler Rollins Fine Art’s newly expanded gallery space and features Sopheap Pich’s large scale Rang Phnom Flower sculpture. 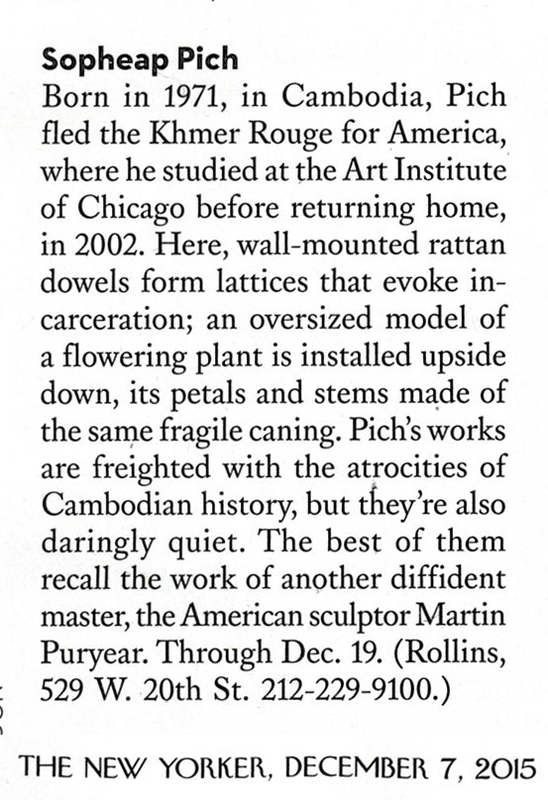 Around 25 feet in length and extremely complex in its construction, the work is Pich’s most ambitious single-form sculpture to date. It was first exhibited in early 2016 at the Albright-Knox Art Gallery, Buffalo, in For the Love of Things: Still Life, where it was shown alongside works by artists ranging from Picasso to Warhol and Mapplethorpe, selected predominantly from the museum’s renowned collection. 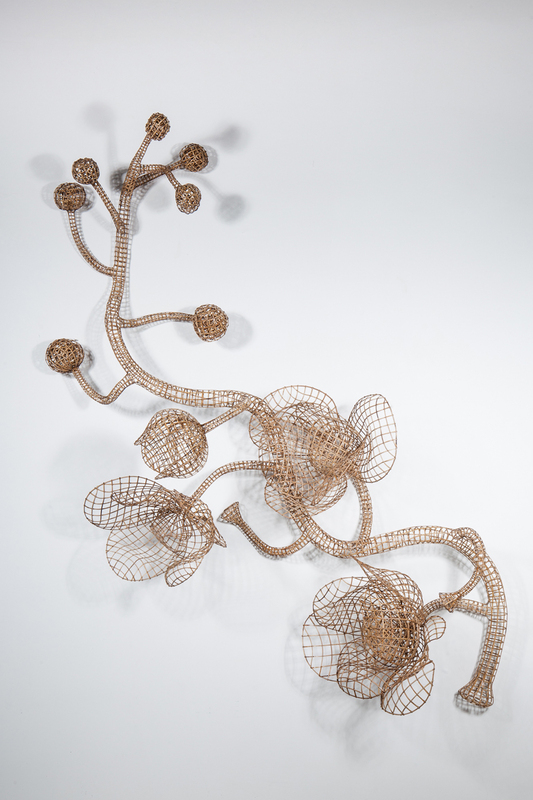 At Tyler Rollins Fine Art, it is presented together with a new, smaller scale work by Pich that explores the same flower motif. 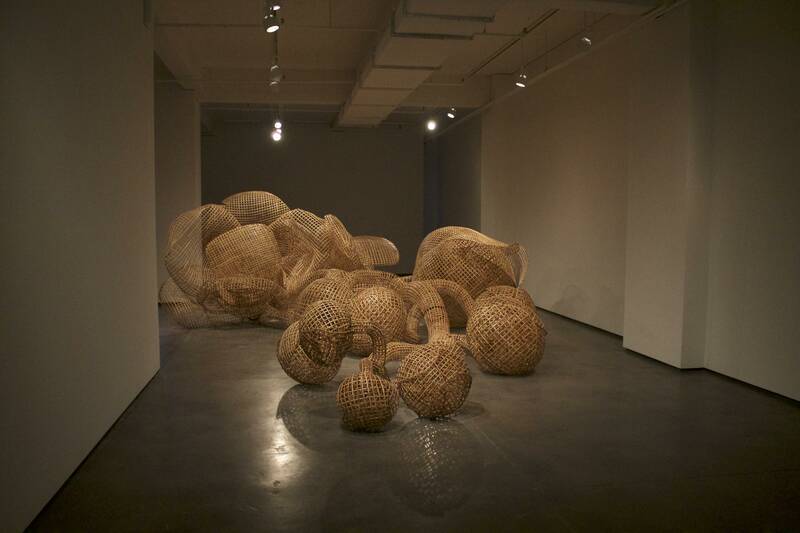 The works in the exhibition are all inspired by the vine-like flower clusters of the cannonball tree (“rang phnom” in Khmer), which has a strong cultural resonance within Cambodian culture and a personal significance for the artist. In Southeast Asia it is associated with the sal tree under which Buddha was born, and it is often planted near Buddhist temples. In fact, however, it originated in the Americas and was introduced by Europeans to Sri Lanka, where it was soon revered for its resemblance to the sal tree, which does not grow in tropical climates. It was then brought to Southeast Asia by Sri Lankans, who were responsible for the revitalization of Buddhism in that region. 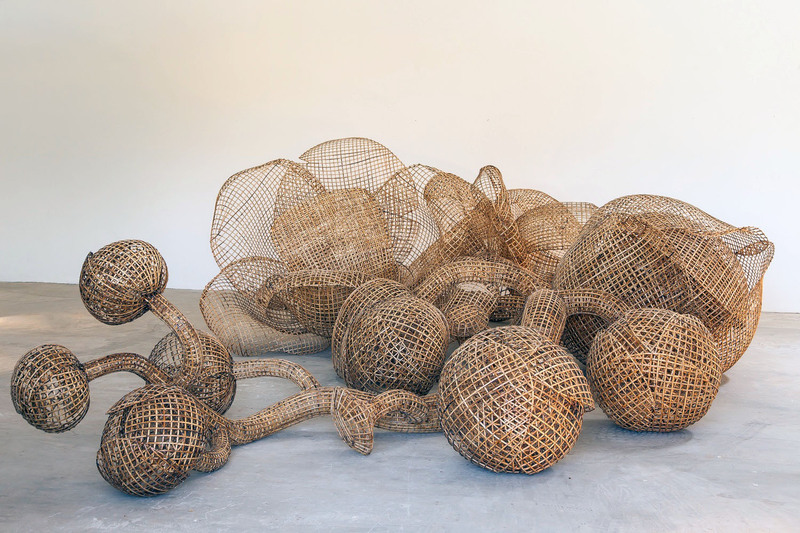 Many cannonball trees can be found around the Buddhist temples near Pich’s studio on the outskirts of Phnom Penh, and he became fascinated with the muscular, architectonic qualities of the flowers, as well as the sensuously flowing lines of the vines. 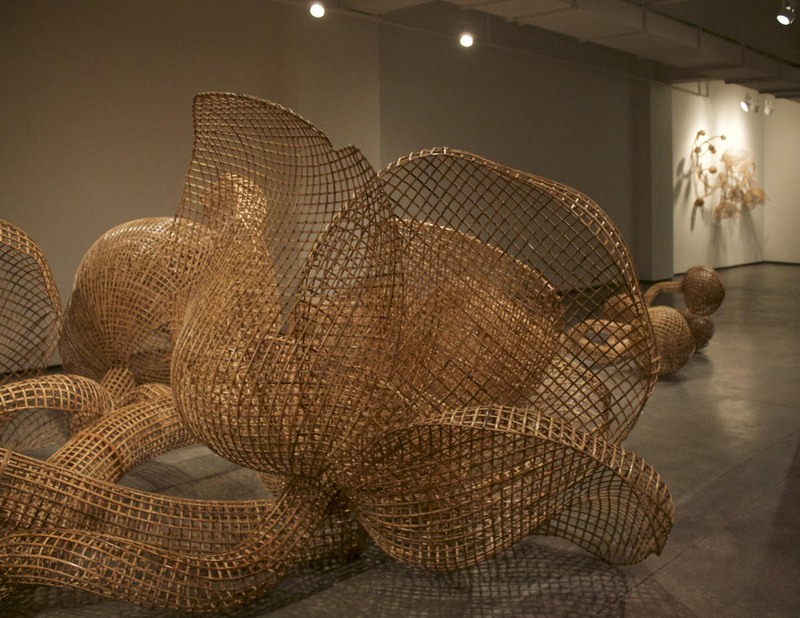 His monumental Rang Phnom Flower sculpture is composed of hundreds of strands of rattan and bamboo shaped into interlocking grids and circular elements, the precise geometry of which contrasts strongly with the baroque contortions of the vegetal forms. Rendered in an enormously oversized scale, the flowers and vines dwarf the viewer, confronting him with the mesmerizing beauty and overwhelming power of nature. 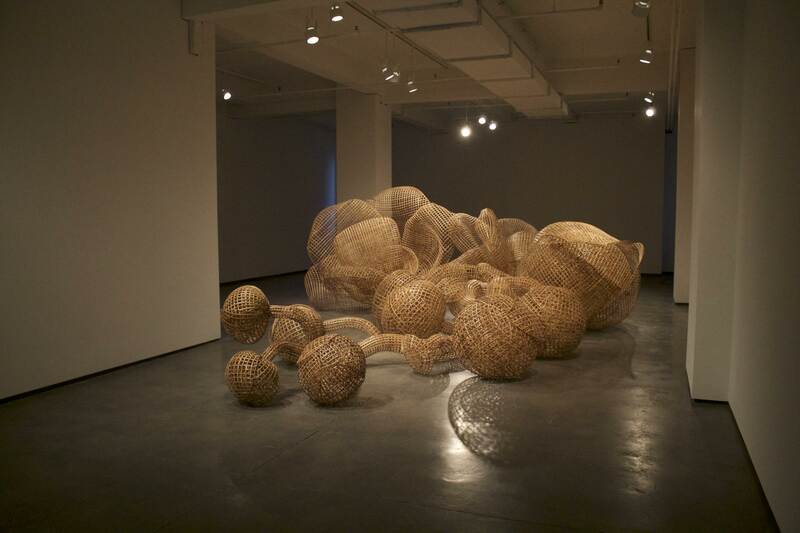 The work follows up on Pich’s widely exhibited 2011 Morning Glory sculpture, now in the permanent collection of the Solomon R. Guggenheim Museum, which was featured in his solo exhibitions at Tyler Rollins Fine Art (2011) and the Metropolitan Museum of Art (2013), and also shown at the Guggenheim Bilbao and Singapore’s Centre for Contemporary Art.